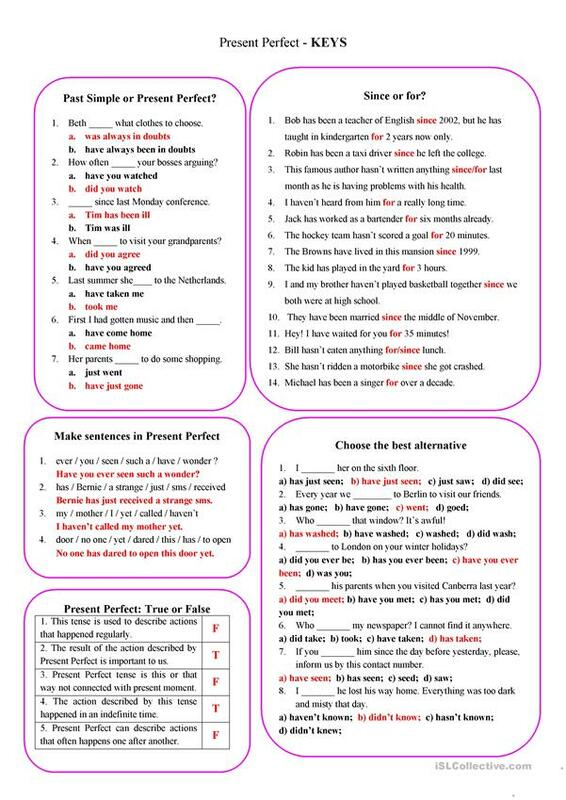 Usually it's a big problem to explain the difference between Past Simple and Present Perfect to a student who thinks that Past Simple is enough for everything. I've tried my best here to present different aspects as well as theory of the tense understanding. The KEYS are attached, your comments and likes are always warmly welcome. The above printable, downloadable handout is meant for high school students and adults at Intermediate (B1), Upper-intermediate (B2) and Advanced (C1) level. 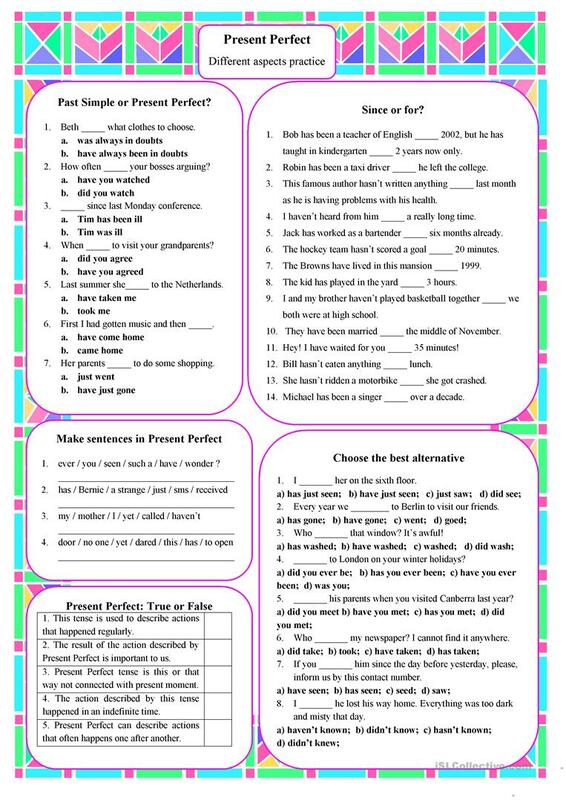 It is a useful material for teaching Present perfect simple tense in English.